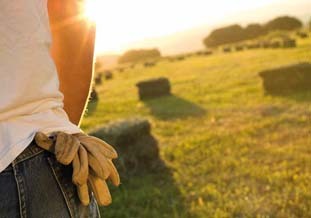 Comfort unrivalled by anything else in the specialised tractor sector. You absolutely have to try it! The new elements of this SAME design are immediately noticeable. The completely redesigned front and cowl are the results of a project to define the visual identity of the new Frutteto S/V family.The structure remains slim and compact, with no sharp edges or corners on the hood or roof, ensuring safe, easy passage even between the most narrowly-spaced rows, without damaging the crop. This attention to detail also extends to the cab trim, with soundproofing and vibration damping materials used for unparalleled comfort. 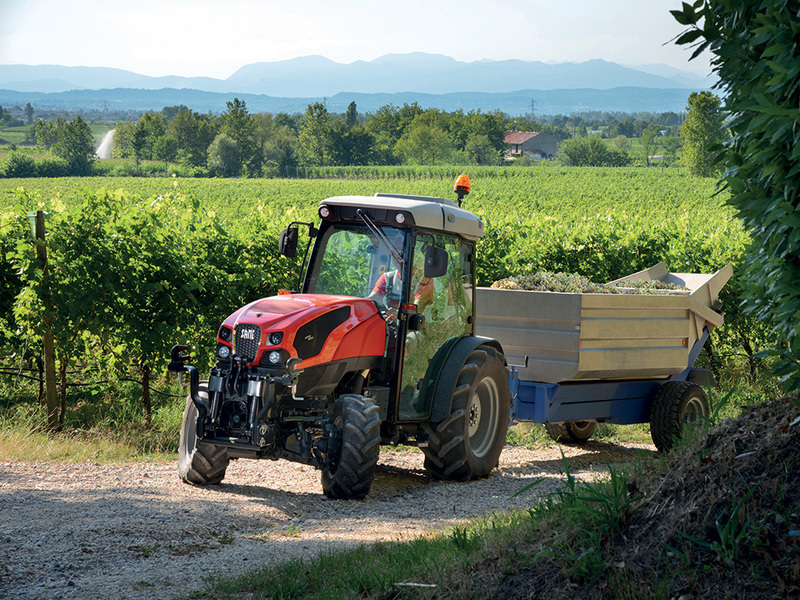 With only 4 pillars, the cab of the new SAME Frutteto S/V family is a new benchmark for the specialised tractor class. 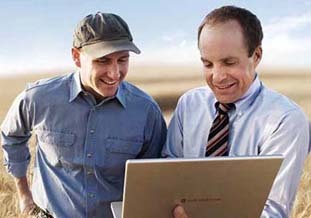 All of the controls have been very carefully positioned, taking the most advanced principles of ergonomics into account, and are differentiated according the clear 'Color Line' logic.With their superlative weight distribution, ideal balance between low centre of gravity and generous ground clearance and disc brakes on all 4 wheels, these tractors convey an immediate sense of safety, stability and complete control. Cab versions feature a potent air conditioning system; while for complete safety when working with crop treatment products, the cab may be equipped with an optional pair of active carbon air filters, which are easily removable for quick, simple maintenance. An air suspension seat and Hi-Fi audio system are also available as optional extras. Versions with folding front roll-bar also come equipped with a suspended platform. High-Flow, Power-Flow, Setting-Flow and ActiveDrive. 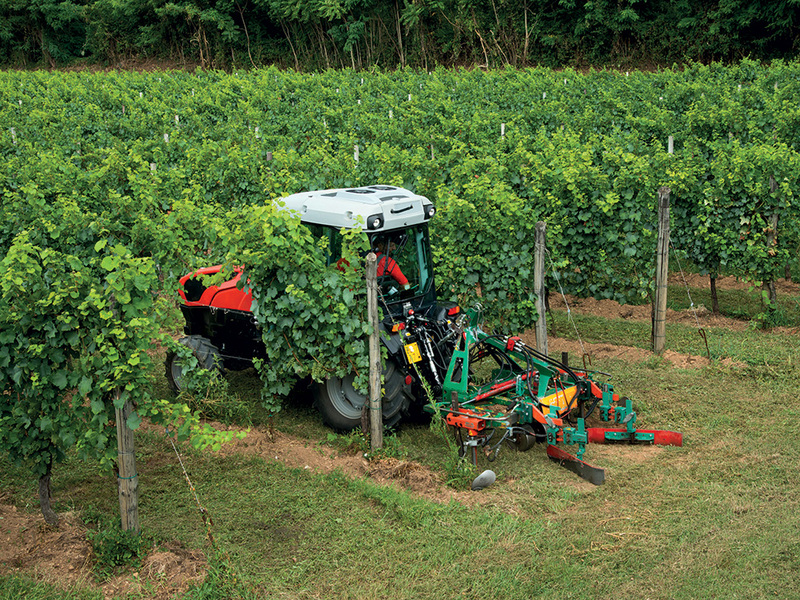 An innovative hydraulic system with 3 selectable levels and a flow rate of up to 131 l/min To be competitive, the hydraulic system of a tractor must offer the following: generous, programmable flow rate; precise, rational distributor controls; an adequate number of couplers both at the rear and front of the tractor; the ability to merge multiple functions in a single controller and, above all, a modular design allowing the machine to be configured to meet the specific needs of the customer. 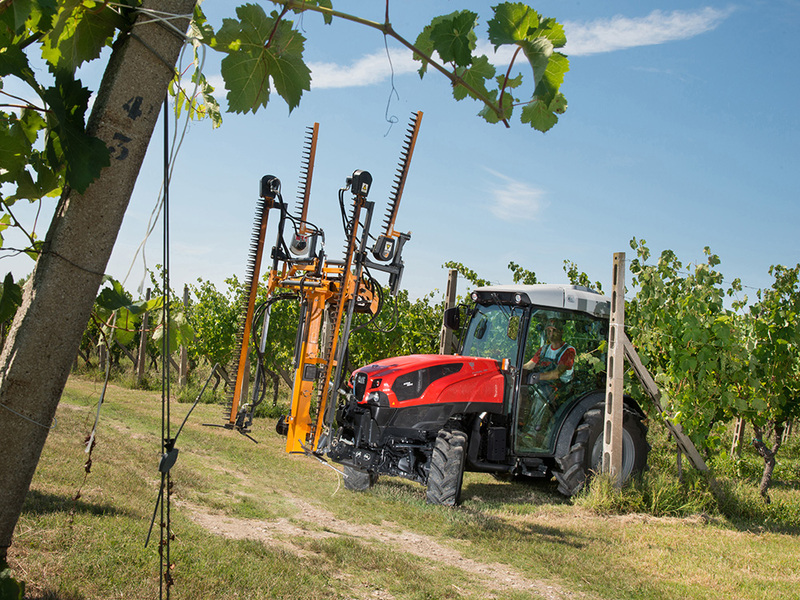 SAME has stepped up to the challenge with the Frutteto and with three new specialised hydraulic systems: High-Flow, Power-Flow and Setting-Flow. 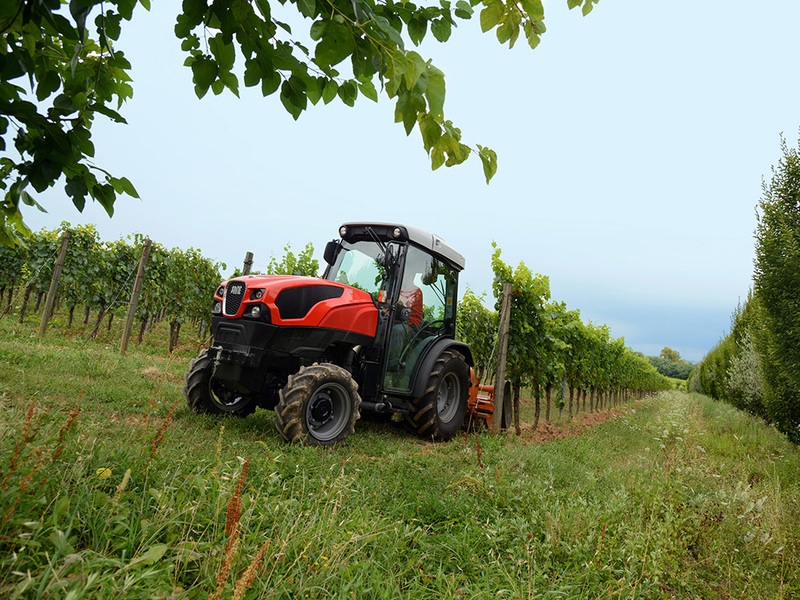 In addition to all this technology, Frutteto S/V tractors are now also equipped with ActiveDrive hydropneumatic independent front suspension with active control. 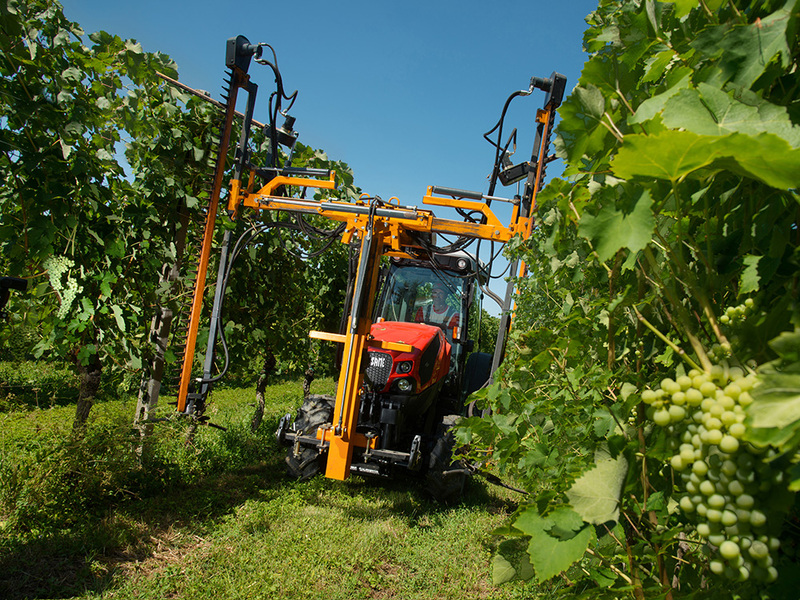 A dedicated electronic control unit adjusts the spring and damping rate for each individual wheel, resulting in a suspension system with extraordinarily effective dynamic behaviour that ensures outstanding precision in mechanised canopy management.